Steve Box has been appointed as Head of Business Development for the UK and Europe. Box will be responsible for spearheading Falcon’s expansion in the UK and European markets. He brings more than 38 years of experience in financial services – in particular, receivables, asset – based lending, supply chain finance and trade finance. We spoke to Steve Box about the future for Falcon Group with regards to trade finance. Falcon is recognised as a key alternative source of finance for mid-cap and large-cap corporates around the world. Having deployed over US$8 billion in the past three years, Falcon operates across 10 vertical industries and in more than 20 countries throughout the Middle East, Asia, and Europe, as well as in Australia and New Zealand. 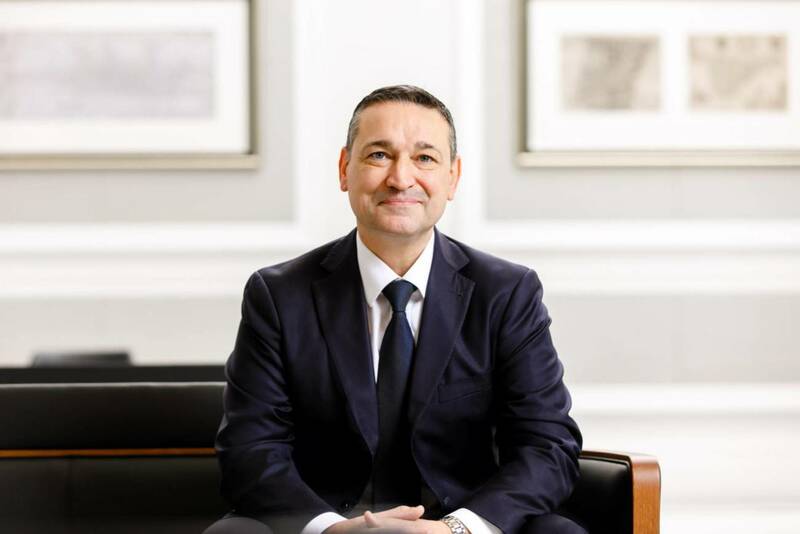 Moving from his previous role as International CEO of Bibby Financial Services (BFS), and following a variety of roles with HSBC, Steve Box brings more than 38 years of experience in financial services – particularly in receivables, asset-based lending, supply chain finance and trade finance. In particular, Box spent 20 years with HSBC’s receivables finance unit. In 2014, he was appointed Global Head of Receivables Finance, supervising the bank’s business across 25 countries globally and supporting clients ranging from start-ups to multi-national corporations. Prior to this, he was Head of Trade of Receivables Finance, Europe and UK. Falcon has had a UK presence for many years, and our newly increased product portfolio means that we now have the capability to make a meaningful difference to large corporates and multinationals. What’s more, the UK and Europe are hugely important to global trade flows – perhaps even more so now given rising inflation and interest rates. The devaluation of sterling against the dollar and the euro has also made the UK a very attractive proposition for overseas companies seeking to purchase goods and services. In fact, according to recent ONS figures, the narrowing of the trade-in-goods deficit in the three months to November 2017 was due to an increase in exports to non-EU countries. And this is really where Falcon can provide value: through bespoke solutions developed to shorten the supply chain for companies in the UK – particularly where they are holding inventory or seeking greater flexibility within their supplier and buyer arrangements. But above all, Falcon firmly believes that any strong international financial services company should have a substantial presence within both the UK and the EU in order to capture trade flows to and from emerging markets and other developed markets. What really sets us apart is that we aim to support mid-to-large corporates – and even multinationals – with facilities that are complementary to those already provided by a house bank. Falcon’s success has stemmed from supporting companies in markets and sectors where banks have retrenched – and we will remain committed to this regardless of what happens. However, uncertainty caused by Brexit, along with bank retrenchment and reports that some London-based banks are considering relocating, is unsettling to any organisation. This uncertainty can be offset in part by diversification, something that is increasingly important to Falcon. While the final outcome of Brexit is likely to remain unclear for quite some time, avoiding disruptions to the free flow of trade is high on the agenda for companies and the government. What’s more, it is important to keep in mind that there are also significant trade flows that extend beyond the EU, and businesses should, therefore, be encouraged to think global. As a company, Falcon will continue to monitor developments and we are dedicated to supporting corporates achieve their working capital objectives. In fact, we are investing and increasing our presence at a time when many banks are reducing activity in the UK. Overall, this is a strong enough message in terms of what we anticipate. This technology cannot be ignored; Falcon is looking into the implications of blockchain and smart contracts – as well as the ways in which such technologies are shaping the market. This is not a change that will happen to any business overnight, so while we review possibilities, our focus remains the customer and providing specialist solutions tailored to their needs. Our strategy for the UK and Europe begins and ends with the client. Drawing on our team of experienced trade and working capital experts, our ambition is to be a trusted advisor to our clients – helping them to tap into working capital solutions across their supply chains. In short, we have the liquidity, experience and expertise – as well as a strong balance sheet – to provide tailored solutions enhancing inventory management and buyer/supplier procurement models that expand well beyond the structures a bank can provide. Steve Box has been appointed as Head of Business Development for the UK and Europe. Box will be responsible for spearheading Falcon’s expansion in the UK and European markets. He brings more than 38 years of experience in financial services – in partic ular, receivables, asset – based lending, supply chain finance and trade finance.